An AMBER Alert was issued for a 4-year-old from North Carolina, and more than 200 people are out searching for the child. The boy, Raul Johnson—who stands around 3 feet tall and weighs 38 pounds—was last seen Wednesday, Jan. 24, WSPA reported. He has black hair and brown eyes, and was last seen wearing an orange tiger-striped shirt with tigers on it along with white pants with rocket ships on the side. Divers have been in the water searching a pond about 800 yards from his home, according to the report. A K-9 unit is also searching for the child, said Scotland County Sheriff Ralph Kersey. He was last seen walking on Village Drive towards Crestline Road in Laurinburg. “There is nothing we have found with interviews with family members, next door neighbors or information from the public that would indicate foul play,” Kersey said. “We’ve got trained people out there, they’ve come from all over North and South Carolina, and hopefully this will be over soon,” he added, WRAL reported. Investigators are also searching a two-mile-wide radius from where the child went missing. North Carolina, let's find this boy. Village drive in Laurinburg, North Carolina. 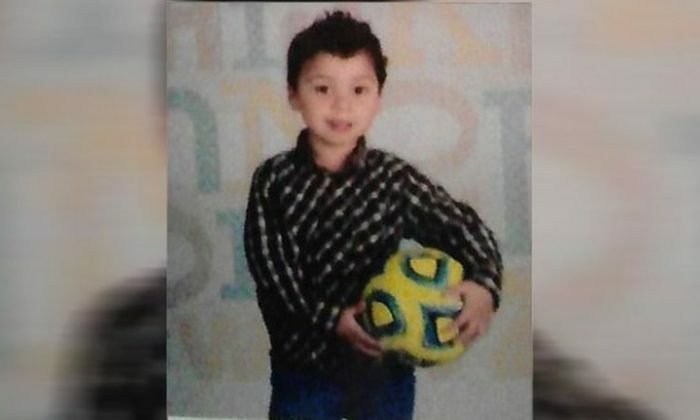 The boy’s grandfather called his mother at 11 a.m. Wednesday, saying Raul went missing. “He [her father] was in the kitchen cooking and my daughter was in the bedroom, she was in the room playing with him and said he went missing and went outside looking for him but he couldn’t find him,” said Annie Johnson, the mother. She left work as soon as she was informed the boy went missing.